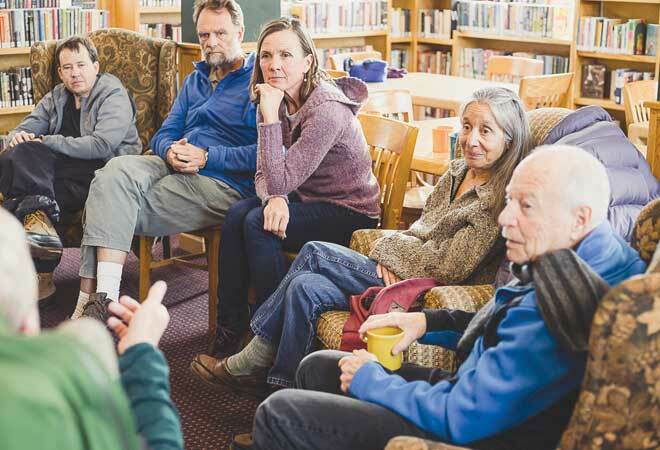 SOCRATES CAFÉ: Philosophers chatted about whether or not we, as humans, are social creatures while enjoying their coffee or tea at the Crested Butte Old Rock Library on Tuesday, January 15. Join the Crested Butte Titans Friday, January 18 for Family Fun Night Dinner at CBCS High School. A BBQ sandwich meal is just $10 for adults, $5 for kids and faculty is free. Come support the Titan’s basketball team as they take on South Park. Games start at 4 p.m. The Crested Butte Avalanche Center in conjunction with the Law Offices of Michael Vaughn and Pinnacle Orthopedics is showing TGR’s film Ode to Muir the High Sierra on Saturday, January 19 at the Center for the Arts. Doors open at 6 p.m., show starts at 7 p.m. There will be a pair of HUGE Head skis and a BCA airbag up for raffle and the CBAC will announce the membership raffle winner of a pair of ROMP skis. $15 at the door, $10 for CBAC members. Proceeds to benefit the Crested Butte Avalanche Center. Crested Butte’s Board of Zoning and Architectural Review will hold its annual Year End Review on Wednesday at 6 p.m. in Council Chambers. The BOZAR will consider all of the building projects completed in 2018 and select the best projects in the following categories: The public is invited and encouraged to attend the presentation. Crested Butte Film Festival presents Juliet, Naked on Thursday, January 17. The CB Film Fest will be showing its monthly movie at the Center for the Arts Thursday at 7 p.m. Annie (Rose Byrne) is stuck in a long-term relationship with Duncan (Chris O’Dowd)—an obsessive fan of obscure rocker Tucker Crowe (Ethan Hawke). When the acoustic demo of Tucker’s hit record from 25 years ago surfaces, its release leads to a life-changing encounter with the elusive rocker himself. The film is based on the novel by Nick Hornby, Juliet, Naked is a comic account of life’s second chances. Avenhart is a Denver-based folk band that twists a foundation of bluegrass into their love for soul, Americana, pop and indie rock, creating a unique soundscape that centers on soulful harmonies, intricate arrangements, and heartfelt lyrics. They’ll be at the Gunnison Arts Center’s Black Box Theatre on Saturday, January 19. Doors open at 7:30 and the concert will begin at 8 p.m. Tickets are $18 for adults and $15 for GAC members and students with ID. 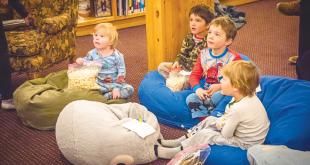 Celebrate the full moon at the on-mountain Full Moon Party at the Umbrella Bar at Ten Peaks on Sunday, January 20 at 5 p.m. Enjoy a creative menu of heavy appetizers plus one complimentary glass of house wine or draft beer inside the Umbrella Bar at Ten Peaks. A sleigh ride will take you to and from the base area to the Umbrella Bar. Event tickets must be purchased in advance and are available at the Adventure Center for $60 per person. 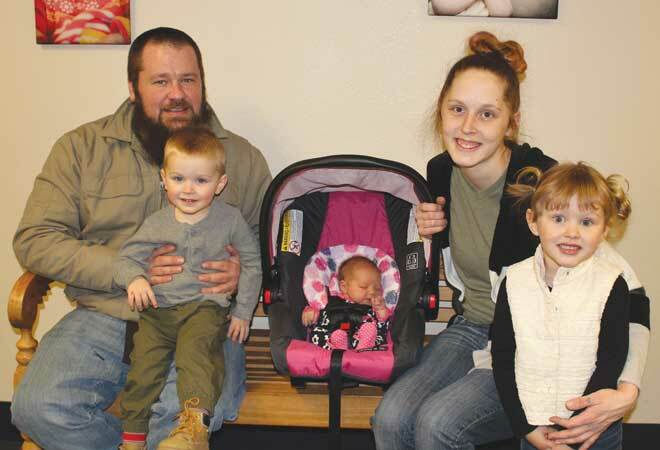 Meet at Trackers in Mountaineer Square to catch the sleigh up the mountain at 4:45 p.m.
GUNNISON VALLEY’S NY BABY: Gunnison Valley Health would like to welcome our first baby born for 2019, Alex Athena Neil. 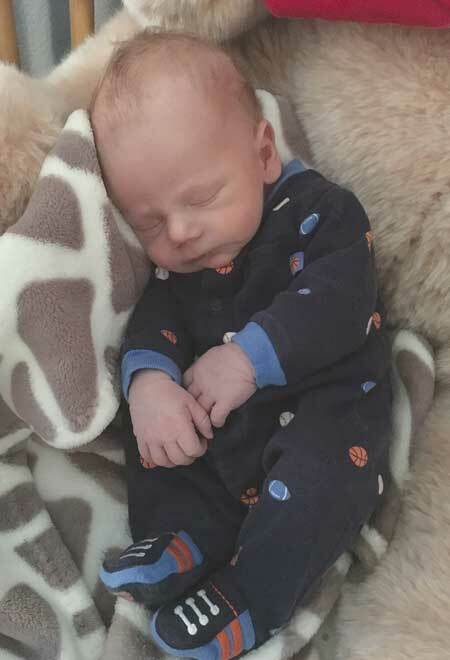 Congratulations to Jacob Neil, Aiden Neil, Katrina Parks and Koralee Neil for their new addition to the family. Cameos: There’s a storm coming this week, so how deep would you like it to be? As deep as the depths will go. Nothing as tall as I am. Anything more than a dusting, preferably snorkels required.